This morning's ascent of the Sudbury River from River Rd. 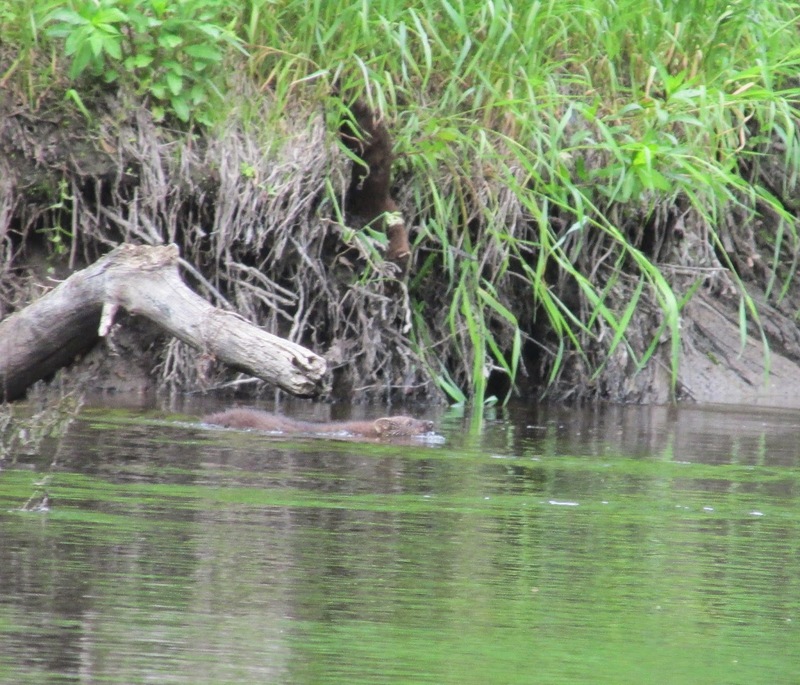 in Wayland demonstrated how you never know what you'll see around the next bend in the river. 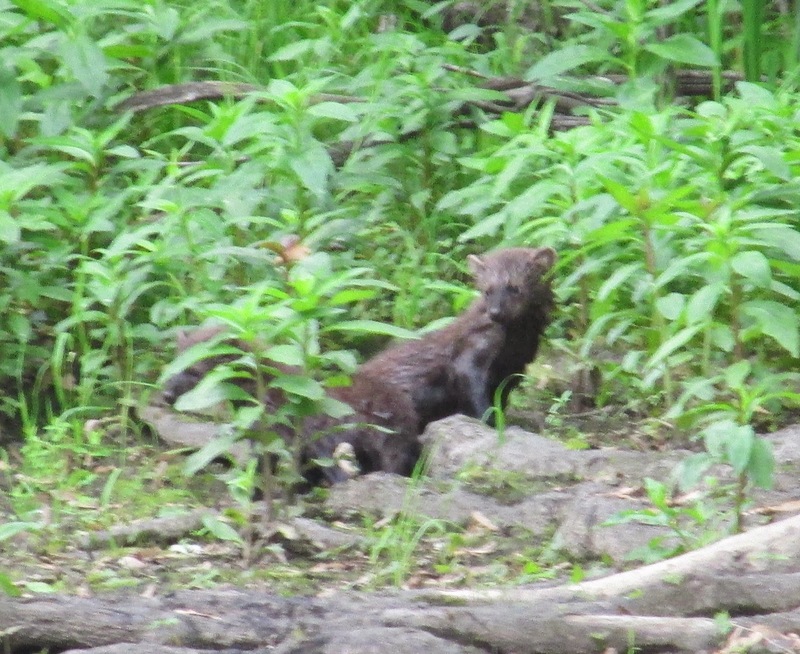 After seeing the adult (above), I believe they were fishers rather than mink. All the vocalizing stopped and the family disappeared into the brush. 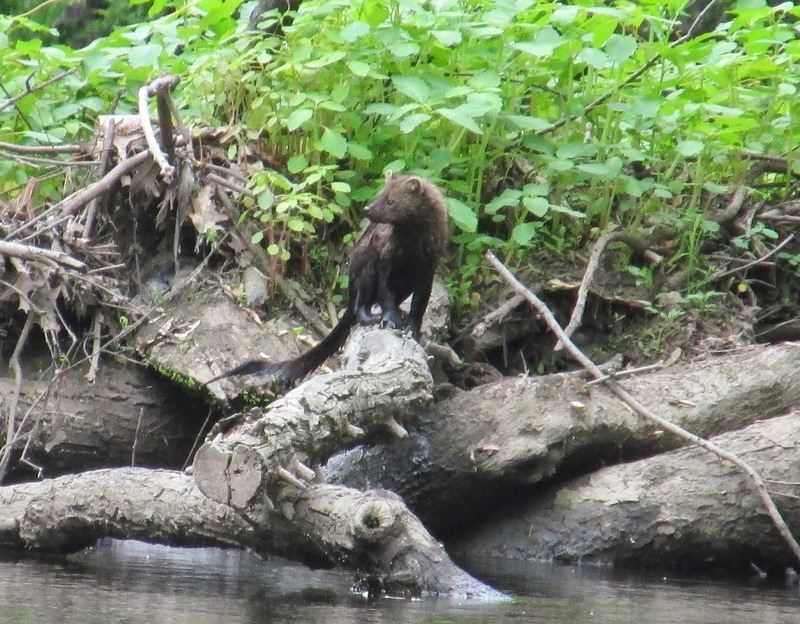 I felt fortunate in having witnessed the procedure for it's not very often a fisher is seen during the day. Perhaps the wildlife encountered today were more active due to the nearly full moon. The day had turned out much better than what had been forecast with the predicted showers not materializing while I was on the river. ...included 28 recyclable containers (5 redeemable) and 47 pieces of miscellaneous rubbish including plastic bags, Styrofoam, a plastic milk crate, and a universal joint from a drive shaft. Love the shot of fisher running up the log. You really lucked out with that experience! Hi Lis, I did indeed get lucky to arrive there at just the right time.